After a long 2 weeks I finally have my camera back, so I thought I'd go for a walk and take some pictures of the gardens to test it out. I was hoping I might come across some wild garlic on my walk and whilst I didn't manage to find any, the health food shop in town had some locally sourced wild garlic pesto, so all was not lost! 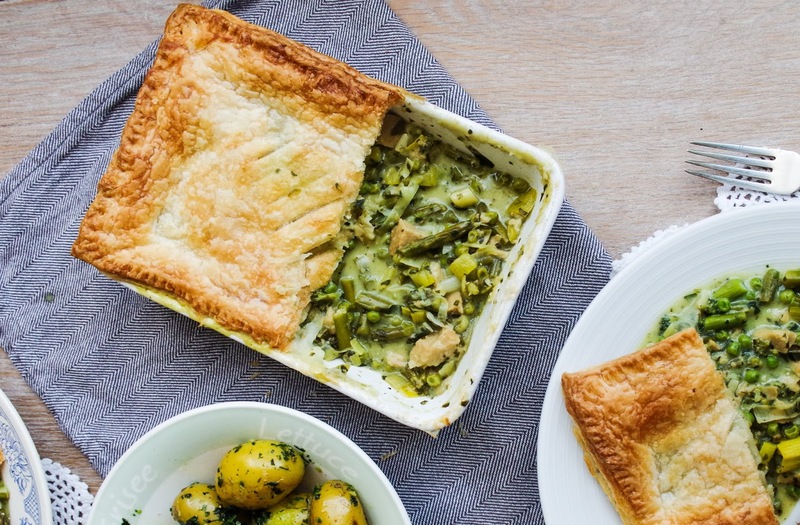 It really feels like spring now and along with that comes beautiful green spring veg, so I combined the seasonal veg with wild garlic pesto for a wonderful pot pie, perfect for Easter, Sunday lunches or even just a weeknight dinner! 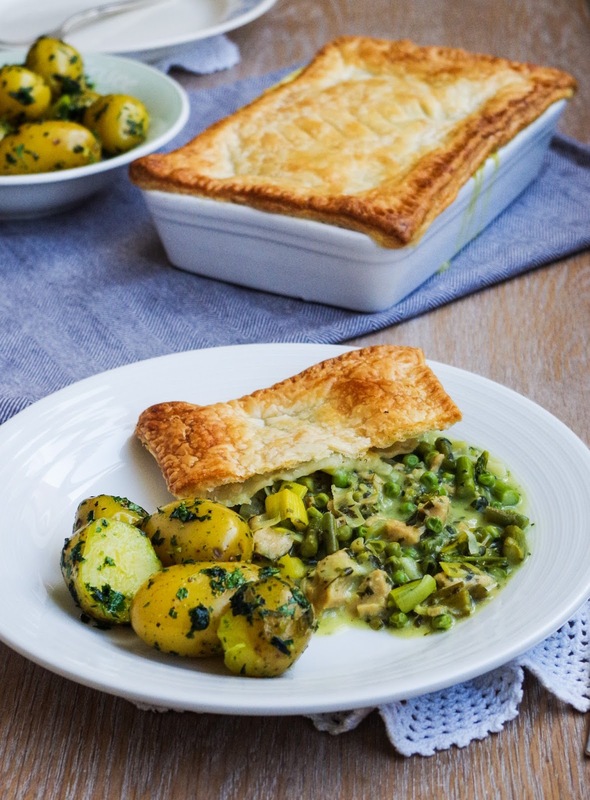 This pie is full of asparagus, tender-stem broccoli, green beans and peas, with vegan chick'n pieces, in a creamy wild garlic sauce, topped with a layer of crisp and golden puff pastry. 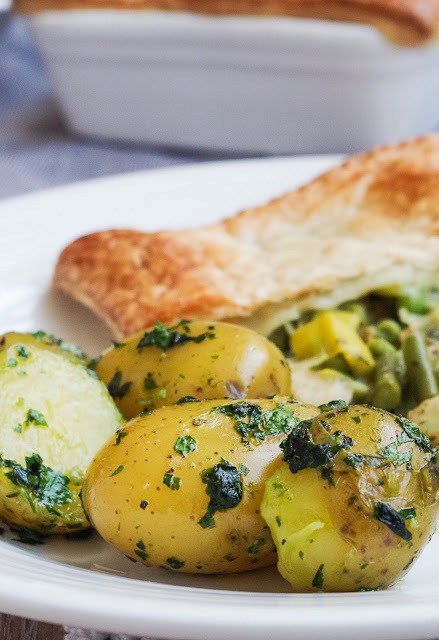 I paired the fragrant pie with some new potatoes, coated in a little olive oil, mint, parsley, salt and some of that gorgeous wild garlic pesto. If you're like me and can't find any wild garlic and don't have access to a shop bought variety then you can replace it with regular garlic, some chives and a little nutritional yeast. 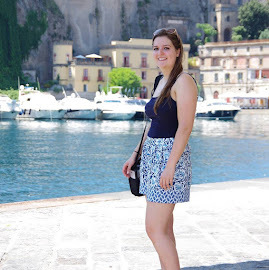 But, if you can get hold of it, simply make a pesto by blending with a handful of nuts, a squeeze of lemon juice, spoon of nutritional yeast, pinch of salt and a good glug of olive oil. Wild garlic pesto is much milder than regular pesto, it tastes herby and fragrant and compliments spring veg wonderfully! 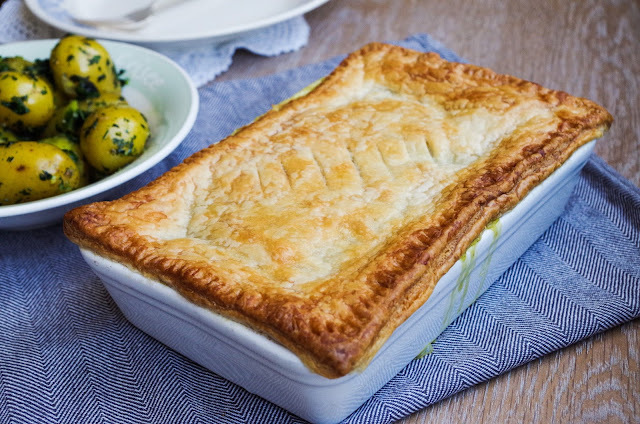 Pre-heat the oven to 200°C and remove the puff pastry from the fridge. Remove the ends of the leek, chop in half length-ways, then again and slice thinly. Rinse the chopped leeks using a sieve and add to the frying pan on a medium-low heat with a splash of oil. Chop the broccoli, beans and asparagus into 2cm pieces and add to the pan. Cook for 2-3 minutes then add the peas and chick'n pieces and cook for a further minute. Stir through the flour so the veg is evenly coated, then add 2 cups non-dairy milk and turn up the heat. Keep stirring the mixture whilst it thickens, then add the wild garlic pesto, parsley, mint and lemon juice. Taste and then season with salt and black pepper. Lightly grease the pie dish and transfer the filling to the dish, top with the puff pastry and press down the edges of the pastry with a fork. Make a few scores in the middle of the pastry by lightly pressing down with a knife, then lightly brush the pastry with non-dairy milk. 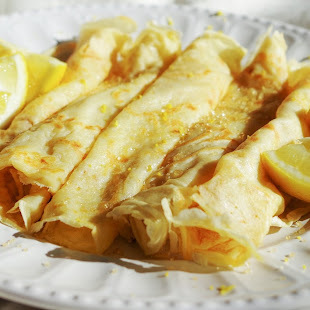 Place in the oven and bake for 25-30 minutes, until golden brown and crisp. 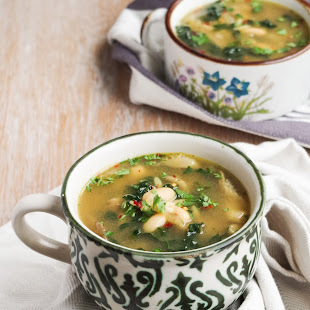 Bring a pan of lightly salted water to the boil, then add the potatoes and cook for 20-25 minutes. Drain and season with olive oil, wild garlic pesto, parsley, mint and a pinch of salt and pepper. 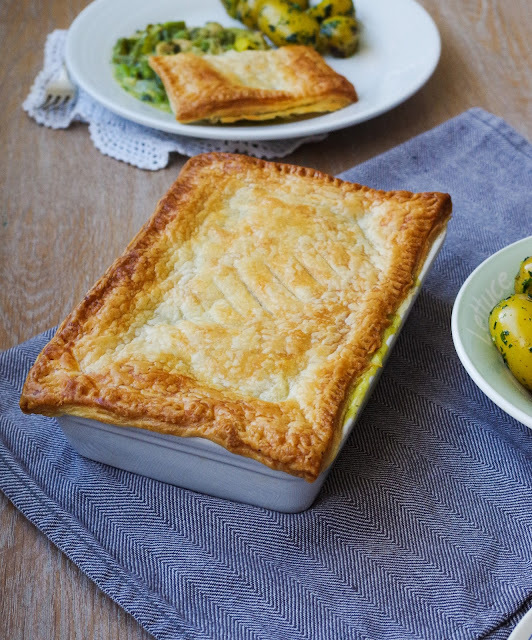 Serve up the pie with a side of potatoes and enjoy!